Going into World Championships, Telenet-Fidea rider Tom Meeusen keeps three thoughts in mind. Revenge after being left off the start list last year due to his being named as a witness for charges against a sports doctor. Validation that his form is better than most of his results this season. And luck that the weather conditions are just right. After being left off the Worlds team last year due to an unfortunate situation where he was called in as a witness in a case against a sports doctor who practiced ozone therapy, he was devastated. His one big moment where he had put much hard work into was taken away. Not only could he not race Worlds but he was left off the start list for the Hoogerheide World Cup the week before, where the conditions would have suited him perfectly for the win. 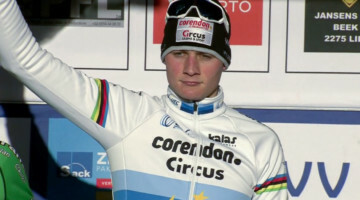 Instead he had to sit on the couch and watch Czech rider Martin Bina glide to victory on the frozen terrain. From missing out on those two races, Meeusen’s UCI world ranking took a hit, relegating him to the third row of the starting grid for all subsequent events through to the first half of the current season. 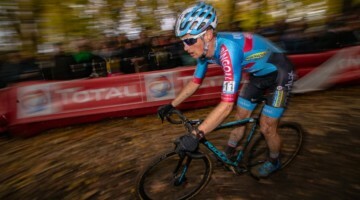 Even with his handicap, Meeusen came into the current season fighting hard to take third place at the first International race held in Belgium, Erpe-Mere’s Steenbergcross on September 15th. 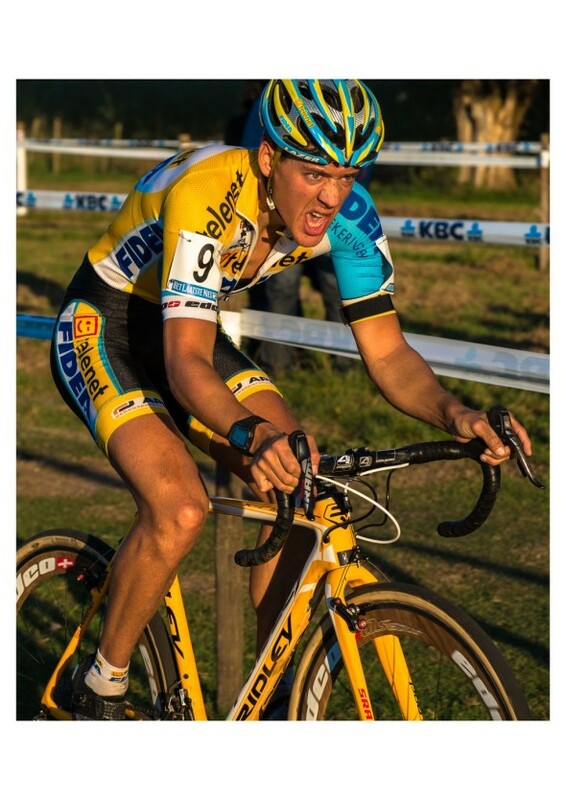 He shortly followed it up with two wins in Laarne – a Belgian National race where all the Belgian toppers were in attendance – and in s-Hertogenbosch, NL where he shared the podium with World Champion Sven Nys and Dutch standout Lars van der Haar. On November 1st, he confirmed his top-level form with a victory at the infamous Koppenbergcross, outsprinting Sunweb-Napoleon Games teammates Kevin Pauwels and Klaas Vantornout to the line. But shortly thereafter, Meeusen’s results took a dip. 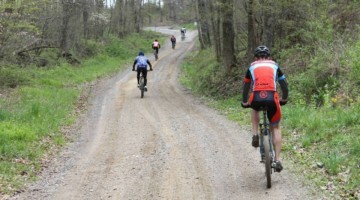 A combination of bike mechanicals, crashes and illness brought him down a level or two. These various problems even caused him to drop out of a few races. He was sick in Tabor World Cup, he fell in BPost Bank Trofee Ronse, and had ankle problems in Superprestige Hamme-Zogge. By not finishing these three races, his original dreams for a high classification in the three series events were shattered. Once in Mallorca for his team’s mid-season training camp from end of November through early December, Meeusen finally had some time to reflect. 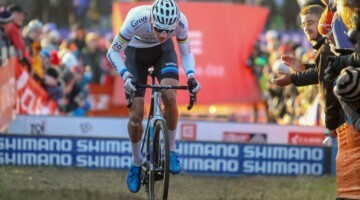 While he is not completely pleased with how the first half of his season went, he feels he can walk away from it feeling good with his major win at the infamous Koppenbergcross. 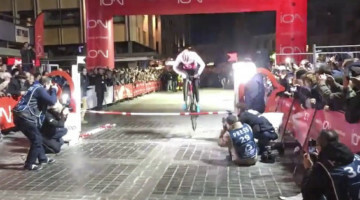 And with his chances for a high classification in the three series events ruined, he instead opted to turn all his focus on winning one last big race before the end of the season – with the goal of peaking for Worlds. Well, he got his wish with a win in the penultimate event of Nommay World Cup exactly one week before Worlds. This put him immediately moved him up on the pre-Worlds favorites list. He was absolutely thrilled with this win in Nommay as he’s had a knife thrown into his neatly laid out plans while he was in Mallorca. He became ill. “The first part of the season until the training camp I had a really high fitness level. I had high expectations for the rest of the season but then I got sick while in training camp and had a really difficult month. I am now starting to be back at the level I had before training camp.” In addition to his win in Nommay, He’s had a very strong ride in Soudal Classics Leuven the week previous. 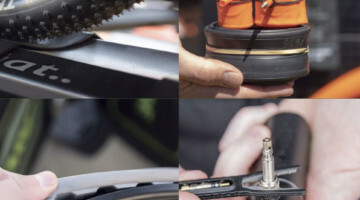 He may only have finished 3rd to Sven Nys and Kevin Pauwels in that race, but he was leading it up until 1km to go when he suffered a flat tire. Thanks to his sprinting abilities, he was able to come back from the mechanical to hold onto 3rd . When asked why he thinks he has a chance to do something great at Worlds, he muses, “It’s just based on a feeling in the races, such as in Nationals, where if everything was okay I could have been second [instead of fourth]. I have just a good feeling in the races and that’s most important. And of course if you have the right shape before Worlds then it’s easier to prepare yourself best.” As for his odds of getting on the podium at minimum, Meeusen adds, “From now on, I think they’re quite big I hope. If I am not on the podium, I will be really disappointed.” As he’s already proven at Koppenbergcross earlier in the season and now in Nommay, dreams can come true. cyclocross TomMeeusen WoutvanAert hope she’s right again!